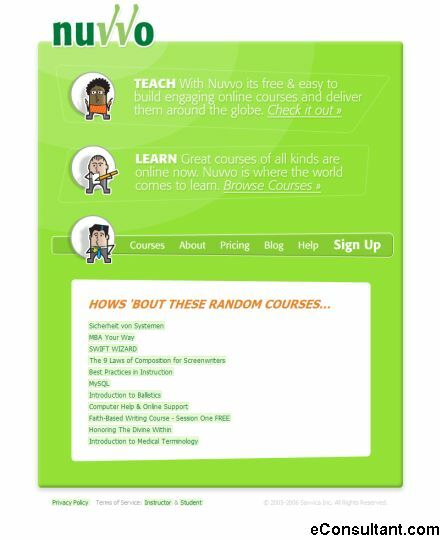 Description : Nuvvo is your way to teach on the web. Everyone knows a little bit about something, and this free, AJAX-enhanced eLearning web service is designed to bring out the teacher in all of us. Sign up and build a course in minutes; advertise your course on our eLearning Market to get the word out. Get teaching with Nuvvo, Web 2.0’s answer to eLearning.